Launch is expected to take place by Diwali 2018. 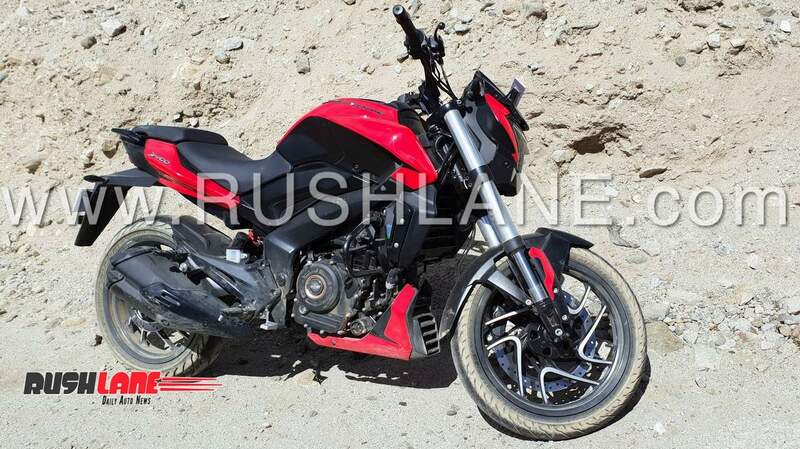 First launched back in December 2016, the Bajaj Dominar is set to receive a major upgrade in the coming weeks. Launched at a staggeringly low price tag of just Rs 1.36 lakhs, Bajaj aimed to sell about 10,000 units of Dominar every month. But, as we all know, that has not been the case. Bajaj launched the Dominar as a touring motorcycle, which has all the benefits / features of a modern day machine – like FI, digital instrument cluster, ABS, etc. Their aim was to eat into the Royal Enfield sales with Dominar. Royal Enfield has about 90% market share in the 350-500 cc segment in India, which accounts for monthly sales of about 65,000 units. Of this, they aimed to get 20% with Dominar. But, Dominar sales failed to grow beyond an average of 2,000 units a month. Some months, even falling below the 1,000 units mark. For a bike which was launched with the aim of selling 10,000 units a month, this was no less than a disaster. Bajaj launched a series of new ads, which generated a lot of buzz over the internet, especially on social media platforms like Facebook. But this did not translate into sales. 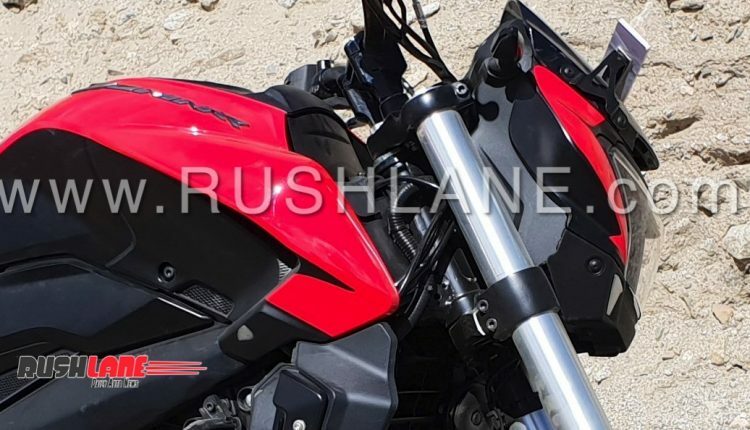 To bring yet another push into the sales of Dominar, Bajaj is now getting ready to launch a much better equipped variant. 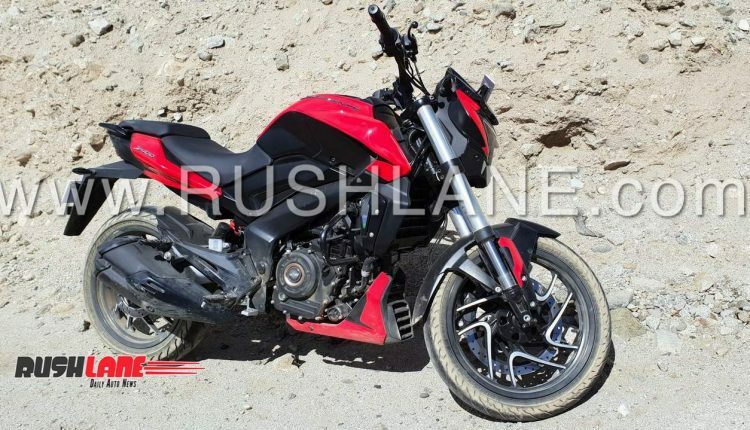 This one was recently spotted on test in Leh. It features upside down (USD) forks like the KTM Duke 390, new exhaust system with twin cannister, new digital console which will now display more information than before. It gets the same a 373.3 cc, single cylinder, liquid cooled engine that also powers the KTM 390 Duke. But this engine is expected to be refined, and ready for BS6 norms. This engine is capable of 35 PS power at 8,000 rpm and 35 Nm torque at 6,500 rpm mated to a 6 speed gearbox. 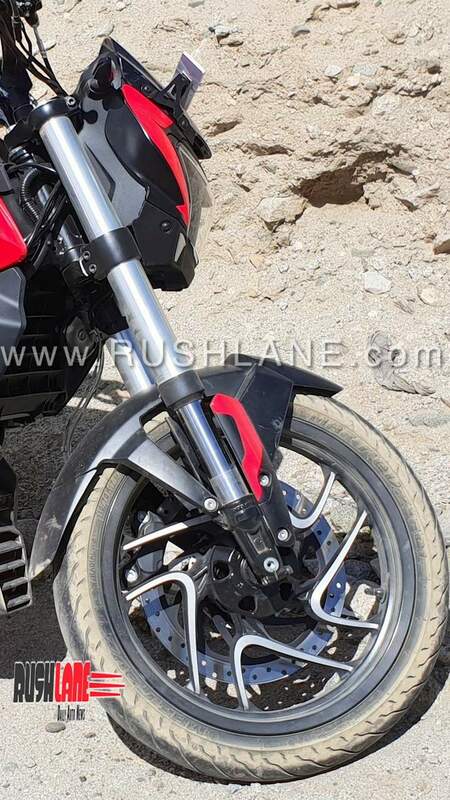 It is also expected to get more features from KTM Duke 390 like DOHC system, ride by wire and updated slipper clutch. These new features will enhance the sport riding capabilities of the Dominar by a huge margin. 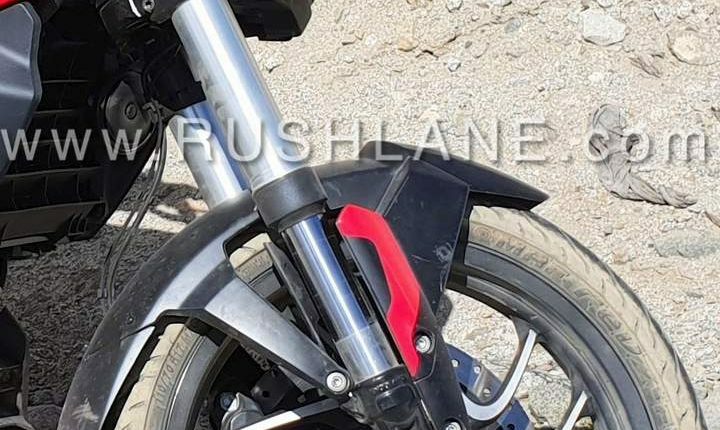 With the addition of these new sporty features, is Bajaj going to market the bike differently from hereon, and not as a rival to Royal Enfield? Expected to be launched before Diwali, prices could be about Rs 15-20,000 higher than current ABS variant which is at Rs 1.62 lakh for the ABS variant. 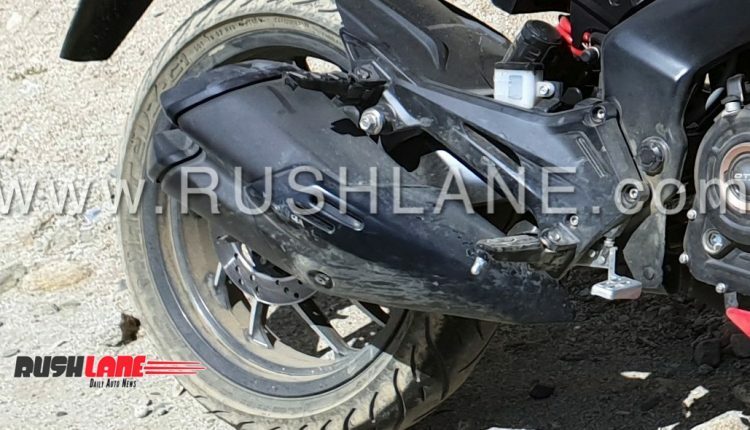 This means, 2019 Bajaj Dominar 400 could cost you about Rs 1.8 lakh ex-sh. But when compared to rivals, this is still a lot cheaper. 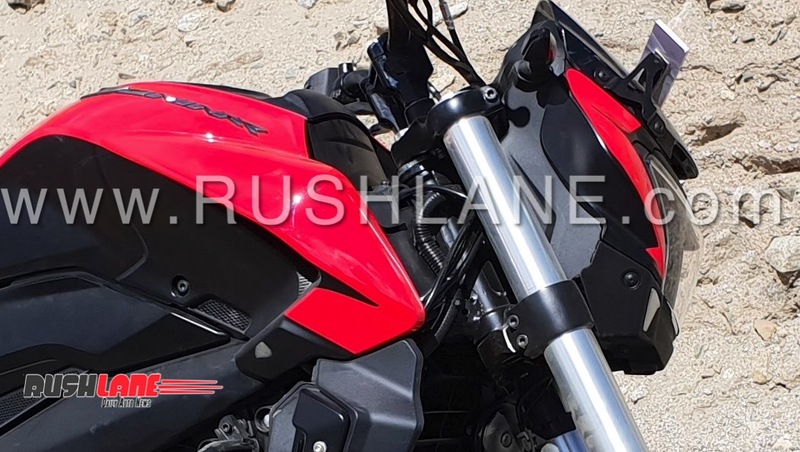 As far as specs are concerned, it is a rival to the newly launched BMW G310R, which retails for almost double the price of Dominar.